“Intimate and urgent storytelling” (Chicago Tribune), a “ripping real-life yarn” (Tampa Bay Chronicle): The remarkable account of two principled men who stand up to the world’s most powerful navy, in defense of whales. Winner of the PEN/E.O. Wilson Literary Science Writing Award and a New York Times bestseller. A gripping, brilliantly told tale of the secret and deadly struggle between American national security and the kings of the oceans. At once thrilling and heartbreaking, this is a landmark book of deep, original reporting which could alter forever how we view our role as stewards of the seas. As War of the Whales…makes convincingly clear, the connection between naval sonar and deadly mass strandings of whales is scientifically undeniable…a strong and valuable narrative. Intimate and urgent storytelling....Horwitz's years of research and observation lend genuine drama to this save-the-whales tale. The author paints rich portraits of his subjects, much fuller than the rote physical descriptions and caricatures that might pass for characterization in a breezier work of nonfiction. A fascinating read and incredibly informative. This is a powerful book and will be of great interest to anyone concerned with marine mammal protection, the uneasy balance between the competing desires for national security and environmental protection, or the messy politics of scientific inquiry. Horwitz delivers a powerful, engrossing narrative that raises serious questions about the unchecked use of secrecy by the military to advance its institutional power. In this gripping detective tale,science writer Horwitz recreates a day-by-day account of the quest to find thereasons for the mass strandings; the Navy’s resistance and cover-up of theiruse of sonar in the area; and the drawn out struggles between Balcomb, Joel Reynolds, of the Natural Resources Defense Council, and the Navy. . . . Riveting. In a riveting and groundbreaking new book, War of the Whales, Joshua Horwitz, chronicles the true story of the 20-year battle led by scientists and environmental activists against military sonar. It reads like the best investigative journalism, with cinematic scenes of strandings and dramatic David-and-Goliath courtroom dramas as activists diligently hold the Navy accountable. A page-turning detective story, War of the Whales... chillingly tracks the US Navy’s culture of secrecy as it collides with environmental groups and grassroots’ demand for transparency. For those looking for the perfect non-fiction beach read, you couldn’t do better than War of the Whales: A True Story, Joshua Horwitz’s recounting of an attorney and marine biologist who take on the Navy and the fatal harm they are causing the ocean’s mammals. Engaging… War of the Whales reads like a novel, but the story it tells is true…a fascinating personal tale. From severed whale heads to top-secret Naval warfare ops, from the blue waters of the Bahamas to the inner corridors of the Pentagon, War of the Whales is a true-life detective story, military drama and legal procedural of the first order. Joshua Horwitz channels John Grisham and Jacques Cousteau in a way that will leave the reader inspired, outraged and deeply satisfied. Highly detailed…Suits, appeals and maneuvering all the way to the Supreme Court expose a fascinating but sometimes demoralizing conflict, since the book depicts yet another example of the executive branch of government operating as though it were above the law. That Horwitz persevered and made this important battle public is admirable. Intriguing…offers excellent capsule descriptions of various scientific specialties, and scientists. Horwitz skillfully builds the narrative around the lives of Balcomb and Joel Reynolds…wisely relat[ing] the messiness of their lives as well as their professional accomplishments. Just as wisely, Horwitz does not reduce the Navy characters to villainy….War of the Whales offers a vivid portrait of unexpected intersections between humans and marine mammals. I, for one, will never again think about whales and marine mammal researchers and Navy maneuvers in the ways I did before reading Horwitz’s book. [A] compelling account of what happens when animal and human interests collide—and a sobering look at the suffering caused by increasingly noisy oceans. War of the Whales takes us deep inside the soundscape of our acoustically complex seas, where whales have evolved to communicate, navigate and hunt with sound. It's the true story of the underwater collision between life in the ocean and an acoustic storm of military sonar -- and of citizen activists holding accountable the world's most powerful Navy. For anyone who wants to save marine life from drowning in man-made noise, this is a must-read book. Seneca said it best: 'He who is brave is free.' 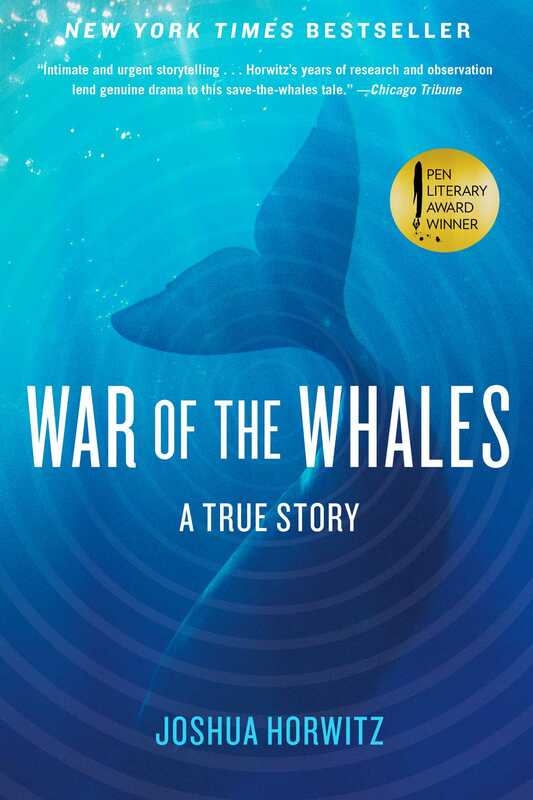 War of the Whales tells the astounding true story of how brave men and women, free from fear, spoke truth to the most powerful military on earth to save the most majestic creatures in the oceans. War of the Whales is the surprising and untold story of how two individuals united in a desperate fight to protect dolphins and whales from the deadly acoustic assault of navy sonar. Deeply researched, and brimming with colorful and interesting detail, Joshua Horwitz's gripping book reads like a thriller but, in the tradition of the best non-fiction writing, brings to light the secret history of military sonar and its devastating connection to traumatized whales and dolphins stranding and dying on beaches around the world. 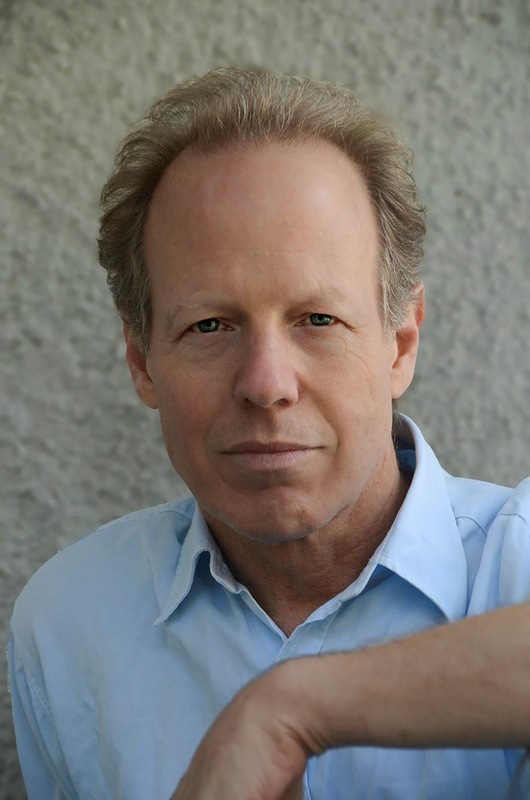 – Tim Zimmerman, Co-Writer of "Blackfish", author of "The Killer In The Pool"
A gripping, true-life tale… War of the Whales blends together the spirit of both a suspense thriller of a Grisham novel (except that it's not fiction) and the political intrigue of an All The President's Men. The story is so artfully constructed that you are drawn in and forget that you are not reading a novel…. [A] story that is fascinating even if you have no interest in whales or navy sonar…. [H]is masterfully crafted book is guaranteed to bring the issues to a larger audience. Author Joshua Horwitz structures this account like an eco-legal thriller, layering his research so that film of a Navy ship seen in the water near the site of the beachings hangs there like damning evidence…. As humans encroach ever further into wild spaces, the impact on the creatures living there must be minimized or mitigated. War of the Whales tells one story among many of its type, but it speaks to the need for improved stewardship with urgency. Suspenseful and moving and fascinating in equal measure…Stranding investigations are about cause and effect. But in showing us, based on the best available evidence, what the Navy’s sonar transit might have been like for the whales that suffered through it, the book reminds us of the dignity of the individual animal. A true story brilliantly told…The book is compelling, it’s comprehensive, it’s ground-breaking – and it’s infuriating. Amazing…Forget toting the latest spy novel or horror story to the beach this summer; take War of the Whales instead. You don't need to be an eco-warrior to learn from this real-life thriller. A page-turning ride…Horwitz tells a taut, energetic story that feels immediate, even though the events are nearly a decade old. War of the Whales is a reminder — and a warning — that our technological, industrial, and military prowess produces unintended consequences for other species with which we share this fragile planet. The gripping tale of two men’s crusade to protect the earth’s oceans and the majestic creatures that call it home will appeal to the activist hidden within every reader…The story is as intriguing as it is informative as Horowitz weaves together legal drama, natural history and military intrigue. A game changing book that unveils, layer by layer, the blood-­stained legacy of Navy sonar on whales and dolphins. War of the Whales has all the elements of a good beach-read thriller: compelling characters, a tight mystery, even a cute animal: in this case, beaked whales. However, Horwitz is talking real life…If you are looking for [an] edutaining beach reading this summer, War of the Whales would be a good choice. The opening scenario of this fascinating story is shocking and heartbreaking…well-researched and passionate. It’s that time of year when bookstores everywhere showcase “summer reading” options. But take a pass on the books touted as easy reading and pick up War of the Whales by Joshua Horwitz instead. Joshua Horwitz's strongly-written book about a secret Navy program that targeted whales will pull at your heartstrings harder than anything you've experienced since Free Willy 3. Brilliant…[Horwitz] astonishes us with the breadth and depth of his coverage of why whales are dying as a result of sonar systems in the oceans, the legal battle between environmental groups and the U.S. Navy, and the pain and suffering resulting from the "unintended consequences ‘of keeping the United States safe. Fans of the Blackfish documentary will enjoy Joshua Horwitz's incredible new book…the effort to reveal the truth sets up an epic battle that spills over the pages of War of the Whales, combining legal drama, natural history, and military intrigue into an surprising tale of the battle for the ocean's future. An astounding and brave expose of how it has penetrated our oceans and how destructive that involvement is to cetaceans…Horwitz moves us profoundly…This is an essential read for those interested in the ocean environment and in how the world really works. Pitch-perfect prose and compelling detail…Horwitz’s fine text is filled with multi-dimensional characters and frenetic action. It has deservedly been designated one of the best books of the year so far. Fascinating… Horwitz does a superb job… This is narrative journalism at its finest and one of the best nonfiction books of the year. War of the Whales is well researched and provides deep insight into the little known consequences of our government’s use of sonar technology — two reasons it’d make great fodder for conversation at a summer cocktail party. Just don’t be surprised if you take up the mantle of environmental activist after plowing through it. "WAR OF THE WHALES is riveting, wide-ranging, and a masterly account of this landmark showdown in courtrooms and the court of public opinion." What really gained my admiration for Horwitz was how he was able to weave scientific and historical aspects of the story into a gripping tale that reads like a detective thriller.